Bengaluru: To trace missing files and ensure that documents are in order and easily accessible to people and officials, the Bangalore Development Authority (BDA) has undertaken the task of digitising all its files. BDA Town Planning Member Chowdegowda told that all BDA records, especially development plans, layout plans and building plans,will be digitised. Importance will also be given to land conversion details, as this is gaining importance. “Though some information is available online, it is not sufficient and needs to be updated. We will go backwards. First, detailed updates of the Kempegowda Layout will be put online, then Banashankari extensions and so on,” he said. Through this, the BDA aims to ensure that records are up-to-date, missing files are traced and knows what information it needs to collect. This will also help BDA know how many files it has. According to BDA officials, there are lakhs of files in all departments but details of many of them are not known. Chowdegowda said work on this will start in two months after which the cost of the exercise will be known. “We aim to complete the digitisation of at least half the files by the end of December, 2016,” he said. To ensure quality and speedy work, BDA will rope in IT professionals who are well-versed with technology. It will also engage additional staff after calling for tenders. “Most web pages of the BDA at present do not open and the required information is not available. This needs to be addressed. Though digitising records its a good idea, BDA must ask people what they want and disseminate data accordingly. Data uploaded should be people-friendly and BDA should ensure that while doing so, data is not tampered with or lost,” said Mathew Thomas, managing trustee of The Fifth Estate, an NGO on sound governance. The process of making information available online was initiated around five years ago, but so far, the BDA has been able to upload basic information and most of the data is not updated. Some details available online are officials’ contact numbers, Kempegowda Layout preliminary notification, proceedings of Revised Master Plan- 2035, draft master plan of 2015, development plan 1995, status report of Kempegowda Layout of December 2015, civic amenity sites notification of 2014-15, draft master plan of 2015, budget estimates of 2014-15, list of ongoing infrastructure and budget housing projects and applications forms. The government has reiterated the importance of the rural economy in its communications, and will take steps to provide relief to the rural economy. The Finance Minister could look at increasing the allocation for public irrigation systems, revamp of MGNREGA and rural infrastructure development initiatives.In January 2016, the government also announced a fresh version of the national crop insurance scheme, hence we could expect increased budgetary allocations for the same. Another sector that needs attention is banking. Due to the balance sheet clean up ordered by the Reserve Bank of India, NPAs in the quarter ended December 2015, have increased by one trillion from the previous quarter, and provisions against bad loans have surged 90 per cent (Q-o-Q). The government is likely to provide a substantial amount for the recapitalisation of banks to restrict further pain in this sector. There is also a possibility of the government introducing a consolidated tax payment system at group levels for infrastructure companies. This will help the sector as most companies have an extremely stressed balance sheet coupled with some unviable projects. Hence, reducing the tax burden to a certain extent will be positive for the sector. In terms of the ongoing debate on whether the government will maintain its FRBM target of 3.5 per cent fiscal deficit for FY16-17, we believe the government is likely to loosen it only slightly, if at all, to accommodate increase in infrastructure spending, as well as support rural economy. Stock markets have seen a large correction ahead of the Budget, and expectations are quite subdued. In this scenario, the Budget may have an advantage in signaling that the government remains even more committed to the reforms process. Global headwinds are dominating the trend in stock markets currently, and we are advising investors to wait for clarity from the budget to scout for specific investment opportunities. The Karnataka government has decided to increase guidance value for properties by 10% to 30% to mop up revenue in the next fiscal and fix the huge shortfall in revenue collection from the stamps and registration department, reports Manu Aiyappa. The government set a target of Rs 8,200 crore for the stamps and registration department for 2015-16, but it suffered a shortfall of about Rs 2,000 crore. After proposing a special cess on private layout developers, the state government has now decided to increase guidance value for properties by 10% to 30% to mop up revenue in the next fiscal and fix the huge shortfall of revenue collection from the stamps and registration department. Guidance value is the indicative market value of a property, and the government registers a sale only at that value or higher. The state revenue department proposed an increase in guidance value of properties from April 1 to ensure it meets the target for this fiscal and give a big boost to the state exchequer. According to officials, the government set a target of Rs 8,200 crore for the stamps and registration department for 2015-16 but it suffered a shortfall of about Rs 2,000 crore. “The department hopes people will rush to buy or register properties ahead of the hike in guidance value and this will help meeting the current year’s target,” officials added. NV Prasad, inspector-general of registration and commissioner of stamps, however, said the revision of guidance value has nothing to do with revenue collection target. “The revision of guidance value is an annual affair since 2014 and done usually in November. The government postponed it last year fol lowing an appeal from the realty sector. This time, we have decided to revise it a little early,” he added. The decision comes in the wake of a flat real estate market, and reports that property registrations have hit a record low and thou sands of flats and sites developed by private developers are unsold in and around Bengaluru. Apart from increasing land registration fee, the government has already proposed a 2% cess on the market value of fresh layouts to implement projects for the Ring Road, drinking water, rapid transit and slum development (0.5% each). With the hike in guidance value and imposition of cess on private layout developers, realty experts said property prices could shoot up by at least 5% to 15%. Experts also predict a slump in land dealings, especially residential properties, after April as it would mostly affect buyers and real estate developers. “People may get discouraged by the extra registration fee. Moreover, many aspiring to buy a plot or flat may put off their plans and wait for things to change for the better,” they said. Alarmed by the large number of fraudulent transactions and investments worth crores happening in real estate, the Union government is now thinking of making Unique Identification Authority of India (UIDAI) or Aadhaar mandatory for property registrations. 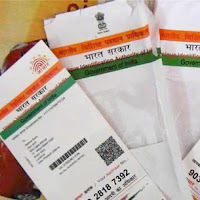 At a meeting of inspectorgenerals of stamps and registrations in Chandigarh recent ly, the Centre mooted making Aadhaar cards mandatory for property owners, said sources.This was to identify “who these buyers were“ and keep track of the money entering the real estate industry. The Centre is looking at Aadhaar as a source of weeding out transactions which are entered into by non-residential Indians (NRI) and foreigners. With coverage of no less than 97% in the country , Aadhaar cards will help the Centre track individuals who purchase properties in India. “For the time being, states will accept other legal documents for identification of persons buying properties. In future, Aadhaar numbers will be required for registration,“ said officials who attended the meeting. However, according to a Supreme Court order, Aadhaar is purely voluntary by nature and cannot be made mandatory . At the same meeting, the Centre also ruled out the possibility of e-registration and mortgaging of properties, again fearing fraudulent transactions. While the state government wanted to do away with the presence of landowners before the registering authorities while mortgaging properties with financial institutions, it required the Centre’s assent to amend the Registration Act of 1908, which was turned down. Sources said the only state to introduce e-mortgaging and registration was Maharashtra. However, in that state too, only structures which have more than 500 units and fall under the Rent Control Act are e-registered. While listening to a request troublesome the regional locale of a court to do an offense under the Negotiable Instruments Act, 1881, the Honorable Supreme Court has order that singularly a tribunal in whose ward an offense of cheque skip is conferred can endeavor the case. The Apex court found out that there are shifted occasions wherever grievances are being recorded at more than one spot to irritate a litigant and summon that the court can't be neglectful of the very actuality that a keeping money foundation holding numerous cheques marked by a proportionate beneficiary can't exclusively blessing the cheque for its encashment at four absolutely totally better places however conjointly may serve sees from four better places in this manner on modify it to document four objection cases at four better places. This exclusively causes grave badgering to the respondent. It is, in this way, important to strike a harmony between the best possible of the offended party furthermore the privilege of a respondent opposite the procurements of the Code of Criminal Procedure in an exceedingly instance of this nature. Ward of the court to do a criminal case is ruled by the procurements of the Criminal Procedure Code and not on basic law standard. 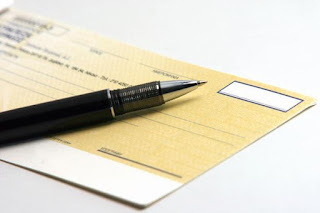 The Honorable Court has extra discovered that the complainants, and also cash foundations and banks, though documenting cheque skip cases, should ensure that no detriment is brought on to the litigant. These perceptions were made by the peak court all through the knowing about a case between Harman physical science and National Panasonic India (NPI) underneath the Negotiable Instruments Act. Harman physical science and NPI had gone into dealings in Chandigarh and a cheque issued by the past at Chandigarh was shamed inside of the town itself. Be that as it may, NPI had recorded a grievance in Delhi, when supply a notification from New Delhi to Harman physical science in Chandigarh, requesting that the corporate pay Rs 5lakh. The organization then scrutinized the locale of the Court of further Sessions pick, New Delhi, inside of the case. The judicature summons that it had ward to excite the grievance in light of the fact that the notification was sent to the respondent from Delhi furthermore the offended party was having its enrolled work environment in Delhi. The Apex court though holding the judgment for the corporate previously stated the Delhi high court had no locale to do the case furthermore the same should be exchanged to the court of capable purview. There are various modes of transferring the immovable property, but most frequently used mode is sale. Any sale or purchase has to conform to certain legal requirements. The Indian Contract Act 1862, and Transfer of Property Act 1882 are two important Acts governing the transfer of immovable property. The words seller, Vendor, purchaser, vendee are used to describe the parties. In general, the word transferor is used to refer to the owner of the property or his authorized representatives. The word transferee means the purchaser. The agreement for sale is contract. It has to comply with the stipulations of Indian Contract Act. The Act stipulates that any contract has to be made between the parties competent to contract. The competent parties are the persons who have attained the age of majority. The persons who have completed the age of eighteen years are majors. Apart from attaining majority, the parties should be of sound mind and not disqualified by provisions of any law in force for time being, like insolvency Act etc. Though the parties are majors and of sound mind, if they are disqualified under provisions of any law in force, they are not competent to contract. The parties to contract should agree to the terms of contract out of free consent. Consent means, agreement of the parties upon the same thing in the same sense. Consent is said to be free, when it is not caused by compulsion, force, misrepresentation or mistake. If the consent is not free it is not void but voidable. There is subtle difference between void and voidable. The contract is said to be voidable, if the parties to the contract, have an option to cancel the contract or to abide by it. Contract is void, if it is not enforceable by the parties as per the provisions of law. In case of void contract, the parties have no option, as the law treats such contracts as void. If the sale of the immovable property is not out of free consent, the seller has an option to treat the sale as valid, or invalid, and the title of the purchaser is subject to the option exercised by the seller. Other important ingredients of valid contracts are, the lawful consideration and for lawful object. In case the transfer of immovable property is made for illegal consideration and for illegal object, the transfer is void, that is law treats such transfers as illegal and parties have no option. The transferee does not get any legally valid title to the property. The sections 10 & 11 of Indian Contract Act deal with the above points. The Transfer of Property Act 1882 has prescribed certain conditions for legally valid transfer under section 5. The conditions are that, both the parties must be living; the transfer may be either in present or future. The word living persons means legal persons, which includes a company, association, and body of Individuals. We may add here that a minor cannot transfer any property, but he can be transferee, he may purchase, receive the property. Apart from the discussed requirements of valid contract and valid transfer, the most important is the title of the transferor should have legal marketable title to the property. A person having a defective or no title to the property cannot pass on a better title to purchaser than what he has, and the purchaser will acquire defective or no title. - Unauthorised person who subsequently acquires valid title. - The person authorized under certain circumstances only. We shall discuss each of the above. Section 41 of the Act deals with the transfer of immovable property by ostensible owner. The word ostensible is described in the dictionary as apparent, stated or claimed but not necessarily true. In simple words, appears like to be an owner but not truly an owner. But the Act differentiates between a person who poses as owner to defraud the purchaser, and a person who acts as an owner of some immovable property with the consent of the real owners any transfer by such ostensible owner is valid. The consent by the real owner may be expressed in the form of writing or may be implied; where the action of real owner makes the purchaser to believe that the ostensible owner has consent. Other requirements are that the transfer is for consideration and the purchaser has exercised reasonable care to ascertain that the ostensible owner has power to transfer that property and has acted in good faith. Reasonable care means, the care that a man of average intelligence takes without negligence. In some cases if the ostensible owner is in possession of the property and he also produces the title deeds the transferee cannot be expected to make any searching enquiry in the absence of any ground for suspicion that the transferor may not be the real owner. The standard and nature of the necessary enquiry by the transferee must therefore vary according to the different circumstances of each case. To understand the extent of care required to be taken by the transferee, it will be useful to refer to the case of Khwaja Muhammad Khan v/s Muhammad Ibrahim ILR 26ALL, 490 “It is manifest that the transferee need not make a very detailed enquiry in order that he may be said to have taken reasonable care unless there are some circumstances or clue which should lead him as an ordinary man of business to make full enquiry so as to satisfy himself with a reasonable amount of certainty that his transferor is entitled to make the transfer”. The transferee must act in good faith. The general clauses Act defines good faith as 'A thing shall be deemed to be done in good faith where it is in fact done honestly whether it is done negligently or not. The limitation Act prescribes higher standard as it defines good faith as “nothing is seemed to be done in good faith, which is not done with due care and attention. Transfer by unauthorized person, who subsequently acquires interest in property transferred. This is slightly a different situation from a transfer by ostensible owner. Here the transferor is not ostensible owner, does not have consent of the owners to act as owner. The transferor fraudulently or erroneously represents that he is authorized to transfer the property.But subsequent to such transfer, the transferor (seller)gets valid title. Such transfer is also valid. 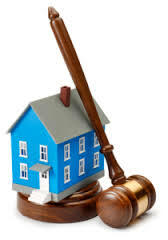 The relevant section 43 of the Transfer of Property Act 1882 stipulates certain conditions. A.The transferor erroneously/fraudulently represents that he is authorized to transfer the immovable property. B. The transfer for consideration. C. The transferee has not rescinded that contract, opts for transfer. D. There are no other transferees for consideration, who have acted in good faith and not aware of existence of such option/transfer. E. The transferor subsequently acquires title in the immovable property transferred, during the subsistence of contract. The use of word “option” in the Act has given various remedies to the purchaser he may cancel the contract, and elect to ask for damages or get the property transferred to him. The important thing is that the transferor, who was unauthorized to transfer the property, acquires the title in same property transferred subsequently. If the transferor does not get any title during the subsistence of contract, the section does not apply. Example:- 'A' transfers property to 'B' by falsely representing that he is owner of property. Later 'A' acquires that property, then 'B' has right to take the property as transferee without further act on the part of the transferor. - A Guardian of minor's property. These persons have power of sale only for compelling and legal necessities. If these persons as transferors allege the existence of such circumstances and the transferee has made and inquiry and after using reasonable care has acted in good faith, then transferee will get a good title to the property. In case of sale of minor's property by his natural or legal guardian is that there should be a legal necessity for the transfer itself and court permission is necessary for any sale. The burden in all such cases is laid on the transferee to justify the transfer in his favour. The reason for this rule is that, no transferee of immovable property can safely take a transfer of such property without enquiring into the title of the person who is his proposed transferor. If the latter's title is perfect, then the question of enquiry becomes immaterial. But if it was dependent upon variable circumstances, then the transferee must justify his transfer. In case of wife and children of transferor have right to maintenance over the transferred property, then such wife and children are entitled to enforce right to maintenance against such transferee on that transferred property, Transfer of Property Act. But this right is not exercisable against transferee for consideration and in cases where transferee does not have notice of such right. Sec 39 of Transfer of Property Act provides that a person shall not transfer the immovable property without the concurrence of wife and children who have a right to receive maintenance or a provision for advancement or marriage for the profits of immovable property. 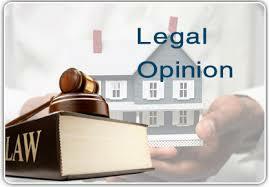 In case such property is transferred without concurrence it is not that transferee will not get a title, he will get a title but he is liable to give maintenance, from the profits of Immovable property, which he acquired and settle any other claims if he has notice of such rights or claims. In case if such transfer is gratuitous such rights or claims can be enforced against transferee. While you are buying the property you have to deducted 1% of TDS and pay to income Tax authority before Registration of the property . (1) Any person, being a transferee, responsible for paying (other than the person referred to in section 194LA) to a resident transferor any sum by way of consideration for transfer of any immovable property (other than agricultural land), shall, at the time of credit of such sum to the account of the transferor or at the time of payment of such sum in cash or by issue of a cheque or draft or by any other mode, whichever is earlier, deduct an amount equal to one per cent of such sum as income-tax thereon. (2) No deduction under sub-section (1) shall be made where the consideration for the transfer of an immovable property is less than fifty lakh rupees. (3) The provisions of section 203A shall not apply to a person required to deduct tax in accordance with the provisions of this section. 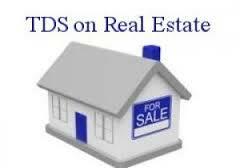 Sec 194-IA deals with TDS on sale of immovable property. Under this section TDS is to be deducted @1% at the time of credit of such sum to the account of the transferor or at the time of payment of such sum whichever is earlier on sale of immovable property. The transferor or the seller contemplated in this section should be a resident of India. Therefore, this section only deals with sale of property by residents anda TDS @1% is to be deducted on such sale by resident seller provided the consideration for sale of property exceeds Rs. 50 lacs. (2) Where the person responsible for paying any such sum chargeable under this Act (other than salary) to a non-resident considers that the whole of such sum would not be income chargeable in the case of the recipient, he may make an application to the [Assessing] Officer to determine, [by general or special order], the appropriate proportion of such sum so chargeable, and upon such determination, tax shall be deducted under sub-section (1) only on that proportion of the sum which is so chargeable. [(3) Subject to rules made under sub-section (5), any person entitled to receive any interest or other sum on which income-tax has to be deducted under sub-section (1) may make an application in the prescribed form to the [Assessing] Officer for the grant of a certificate authorising him to receive such interest or other sum without deduction of tax under that sub-section, and where any such certificate is granted, every person responsible for paying such interest or other sum to the person to whom such certificate is granted shall, so long as the certificate is in force, make payment of such interest or other sum without deducting tax thereon under sub-section (1). (4) A certificate granted under sub-section (3) shall remain in force till the expiry of the period specified therein or, if it is cancelled by the [Assessing] Officer before the expiry of such period, till such cancellation….. Section 195 talks about sums payable to a non-resident which are chargeable to tax in India under the Income Tax Act’1961. When a Non-resident sells an Immovable property in India, Capital gains income may accrue on such sale to the Non-resident which is chargeable to tax in India. Therefore, the consideration from sale of property in India by a non-resident is chargeable to tax in India and is covered by Section 195 and therefore tax has to be deducted at the time of payment of such consideration. Now the question arises as to the rate of deduction of tax. Sub-section (1) of section 195 prescribes that tax is to be deducted at the rates in force. Rates in force is the rate at which a particular type of income is taxable under the provisions of the Income Tax Act. For the purpose of sale by a non-resident of an immovable property, we will have to see the rates prescribed for taxation of capital gains. As per section 112, Long term capital gains on sale of a capital asset is to be taxed at the rate of 20%. Short-term capital gain on sale of a capital asset (except on sale of equity shares and equity oriented mutual funds) is to be taxed at the slab rates prescribed under the Finance Act applicable to the year of sale. 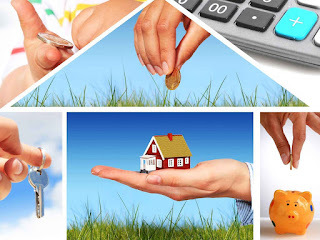 Therefore, here we can draw the conclusion that the buyer/ transferee has to deduct tax on sale of immovable property by the non-resident at the slab rate prescribed in case property is sold within three years of its purchase and at the rate of 20% where property is sold after three years of its purchase i.e where LTCG accrues. Now as per section 90 of the Income Tax Act’1961, the rates of taxation on taxable income of a non-resident will be as prescribed under the Income Tax Act’1961 or under the DTAA of India with the country of which the non-resident is a resident, whichever is more beneficial to the tax payer. Therefore, if the rates prescribed for taxation of capital gains in the DTAA are less than the 20% rate or the slab rate, then tax will be deducted at that rate. However, for availing the benefit of lower rate of deduction of tax under the DTAA, the non-resident transferor will have to furnish a Tax Residency Certificate to the payer indicating the tax residency of which he is a resident. On what amount is the tax to be deducted? After determining the rate of tax, now the question arises that on which amount is the tax to be deducted. The tax is to be deducted on income only i.e on the amount of capital gains arising to the non-resident out of the total consideration. But how will the payer determine the amount of capital gains arising to the non-resident transferee. The answer lies in sub-sections (2) & (3) of section 195. Under, the provisions of these sub-sections the payer or transferor/payee may make an application to the jurisdictional Assessing officer to determine the sum of capital gains on which tax is to be deducted. The application to the AO will be made in the prescribed form. The amount determined by the AO will be the amount on which tax is to be deducted. However, if no such application is made by the payer or the payee to determine the sum chargeable to tax, the tax will be deducted on the entire consideration for sale of immovable property. Tax Exemptions Section 54 - This section stipulates that if NRI sells a residential property after three years from the date of purchase and reinvest the proceeds into another residential property within two years from the date of sale, the profit generated is exempt to the extent of the cost of new property. To illustrate - if the capital gains is Rs. 10 lakh and the new property costs Rs. 8 lakh, the remaining Rs. 2 lakh are treated as long term capital gains. The sold residential property may be either have been self-occupied property or given on rent. The new property must be held for at least three years. NRIs cannot invest the proceeds on the sale of a property in India in a foreign property and still avail the benefit of Section 54. However, some recent hearings with the appellate authorities have held that exemption can be claimed under Section 54 even if the new house is purchased outside India. However, this is not explicitly specified clearly under the law, and it is advisable for an NRI to consult a tax expert before making any investment decisions outside India to avail of tax benefits under Section 54. Section 54EC - This section of the Income Tax Act states that if an NRI sells a long term asset (in this case, a residential property) after three years from the date of purchase and invests the amount of capital gains in bonds of NHAI and REC within six months of the date of sale, he or she will be exempt from capital gains tax. The bonds will remain locked in for a period of three years. Repatriation General permission is available to NRIs and PIOs to repatriate the sale proceeds of property inherited from an Indian resident, subject to certain conditions. If those conditions are fulfilled, the NRI need not seek the RBI's permission. However, if the NRI has inherited the property from a person residing outside India, he or she must seek specific permission from the RBI. The conditions for repatriation of such funds are not really complicated - the amount per financial year (April-March) should not exceed USD 1 million, and should be done through authorized dealers. NRIs must provide documentary evidence with regard to their inheritance of the property, and a certificate from a chartered accountant in the specified format. What NRIs must pay attention to is the income tax implications in their country of residence. Many countries tax their residents on their income regardless of where it originates from, while others provide partial or total exemption on capital gains arising on sale of a residential house if certain conditions are met. The most important point to ponder is the income tax liability in the country of residence on the amount of gain, and whether claiming exemption under Sections 54/54F/54EC is really worth it. The NRI may, in fact, be better off claiming only partial or no tax exemption on the capital gains in India. The Karnataka Electricity Regulatory Commission (KERC) is an independent, autonomous body constituted under the Karnataka Electricity Reforms Act, 1999. It was established in November 1999. How does KERC ensure public participation? KERC has an Advisory Committee in which all the stakeholders are represented. Besides, KERC calls for objections and suggestions from the public on matters of public interest before a decision is taken. Public hearings are conducted to ensure peoples participation. The draft rules, regulations and other matters having a bearing on the public are sent to experts; members of the civil society, consumer groups and their views are sought. The documents are also put on the website for comments. Further the public can visit KERC and obtain copies of documents. KERC can recognize any consumer or consumer group to represent consumers. Members of the public can appear before the KERC in its proceedings. What are the objectives and functions of KERC? 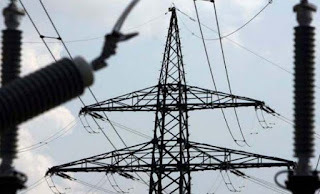 -To determine the tariff for generation, supply, transmission and wheeling of electricity, wholesale, bulk or retail, as the case may be, within the State. How does KERC protect consumer interest? KERC is in the forefront to protect the interest of the consumers and at the same time to make the power sector financially and commercially viable. KERC has taken several initiatives to protect the interests of the consumers. The Office of Consumer Advocacy (OCA) has been established with a senior officer to represent consumers in the proceedings before the Commission. A Grievance Redressal Officer has been appointed to deal with consumer grievances. The OCA has been conducting consumer awareness programmes in all parts of Karnataka. Seminars and workshops are conducted to educate people about KERC and its activities and also the role of consumers in power sector reform. The OCA is publishing a newsletter in Kannada English. These are mailed to over 200 consumer groups and other interested organizations.